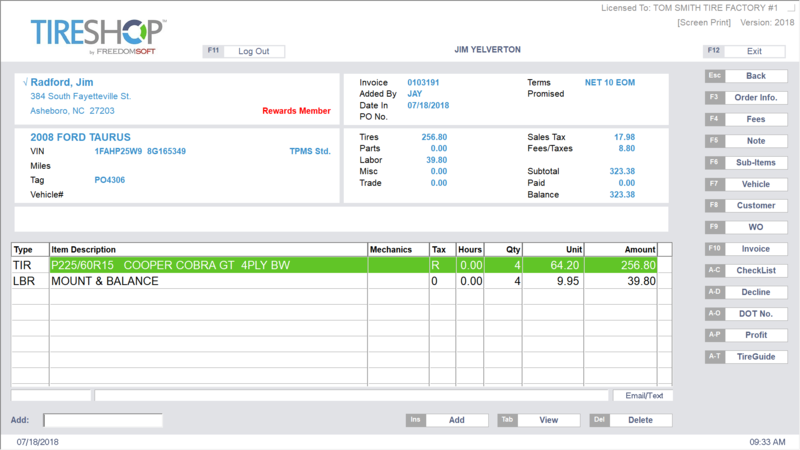 integrated directly into TireShop by Freedomsoft. NHTSA Compliant in 3 simple steps! With Tire Registration Plus, there is no need to hand out postcards or visit hundreds of tire manufacturer websites. 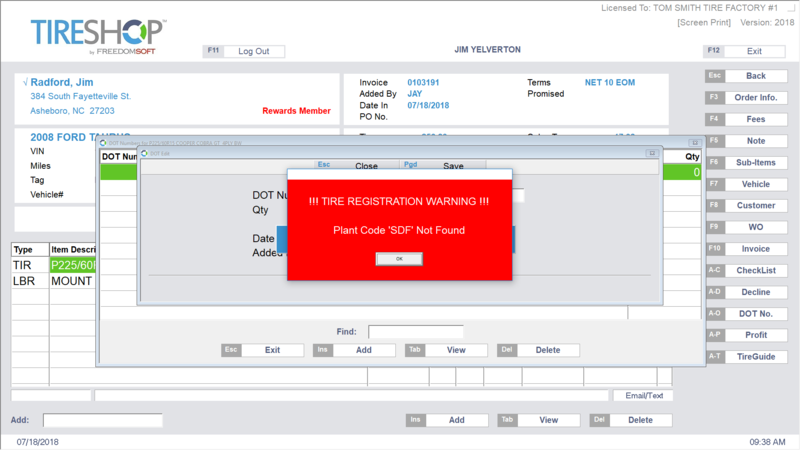 In 3 simple steps, register every tire you sell and comply with federal regulations. Sell the tire as you normally would through the Tireshop platform. 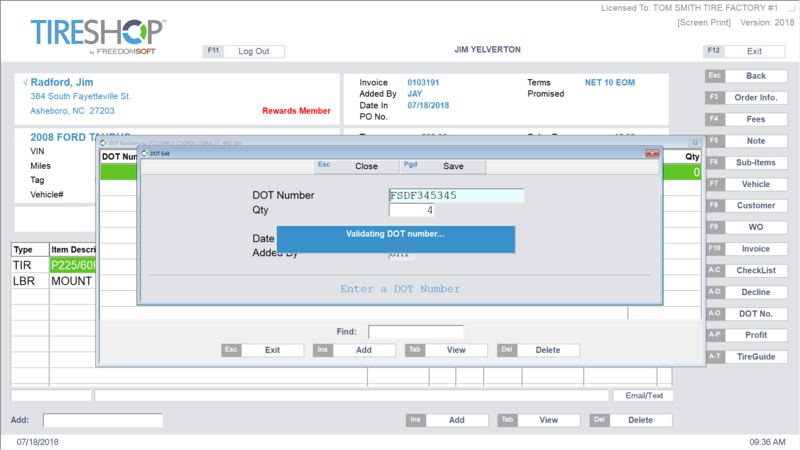 Enter the DOT tire identification number and get real-time validation and safety alerts. Validated records are automatically submitted to the responsible tire manufacturer. The distributor's or dealer's name and street address. In lieu of the street address, and if one is available, the distributor or dealer's e-mail address or Web site may be recorded. Other means of identifying the distributor or dealer known to the manufacturer may also be used. 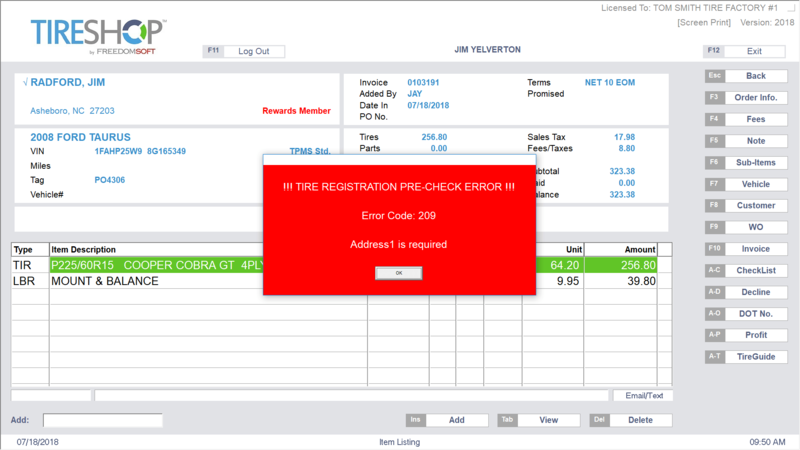 See how Tire Registration Plus can help protect your customers and your business with our industry leading validation and safety features. 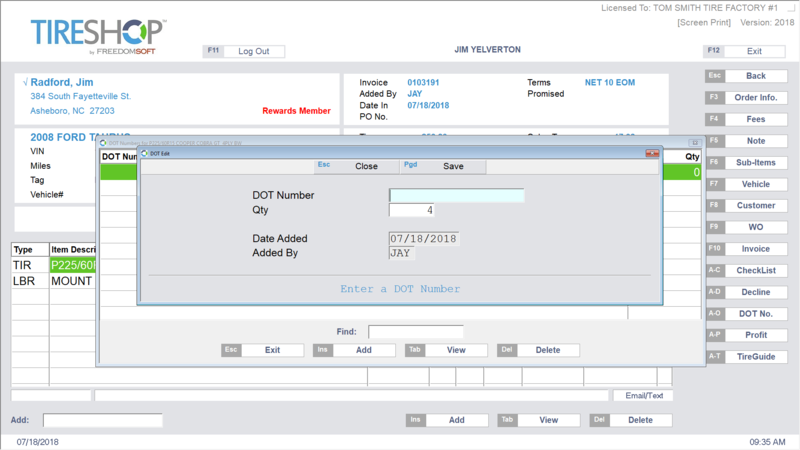 Our advanced DOT tire identification validation helps ensures you are sending accurate records to the tire manufacturer. Never sell a recalled tire again. Our recall check will warn you during the registration process if a tire is affected by a recall. Never sell an aged tire again. Our age check will warn you during the registration process if a tire is over your age limit. Search our custom recall database by DOT tire identification number and get recall information directly from NHTSA. We store every registration in our secure cloud environment. 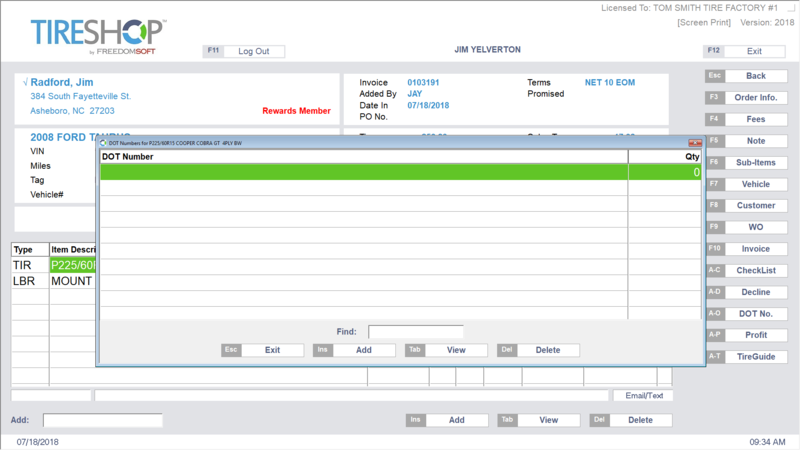 Retrieve your records and see if you have any customers affected by recalls. Get started today with the most advanced electronic tire registration solution.